Ludwig Josef Johann Wittgenstein was born in Vienna, at Alleegasse 16 (now Argentinierstraße), on 26 April 1889 at 8.30 in the evening. 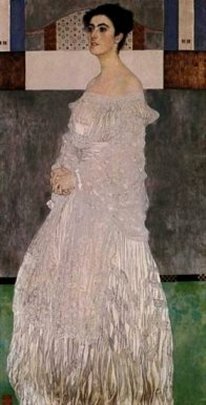 The woman with the haunted look staring back out of the photograph has never existed. She is a composite, created by overlaying four different photos of four different faces: three sisters, all middle-aged Austrian women, and their brother, the philosophical genius Ludwig Wittgenstein. The House of Wittgenstein here. 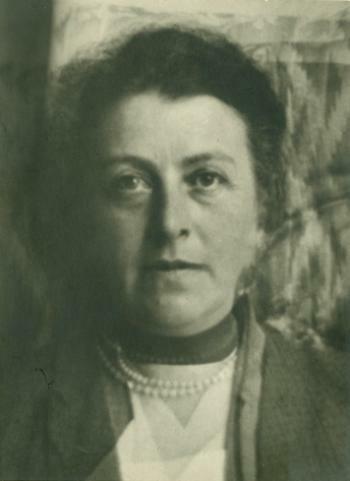 Margaret “Gertle” Wittgenstein and her younger brother Ludwig Wittgenstein did not get along according to Alexander Waugh who wrote “The House of Wittgenstein” which has been receiving great attention in the literary world. Here is a review from New Yorker, The nervous splendor – The Wittgenstein family had a genius for misery by Anthony Gottlieb. Alexander Waugh is the grandson of Evelyn Waugh. Alexander Waugh, the author of “The House of Wittgenstein: A Family at War” (Doubleday; $28.95), is no stranger to family sagas. He belongs to the fourth generation of an English literary dynasty that includes the novelist Evelyn Waugh, who was his grandfather; his previous book, “Fathers and Sons,” is a memoir of the Waughs. Waugh’s emphasis is on Paul the one hand concert pianist in this book. Indeed, The House of Wittgenstein might have been a much more interesting book had it focused on the differences, rather than the similarities, between Ludwig and the other Wittgensteins. How was it, after all, that out of eight siblings—siblings brought up so similarly in such particular circumstances— a single one emerged as so unlike the rest? House designed by Ludwig Wittgenstein. 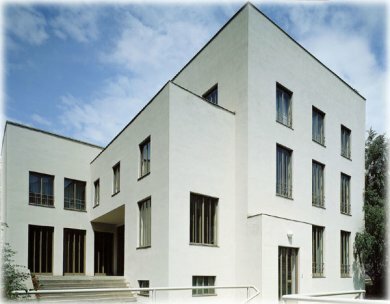 In the late 1920s, the philosopher Ludwig Wittgenstein designed and built a house in Vienna for his sister. Wittgenstein’s family was extremely wealthy (there were gold-plated faucets in the bathrooms at home), and the building proceeded without the usual financial constraint. In one famous instance, to better satisfy his sense of proportion Wittgenstein had the drawing room ceiling torn out and rebuilt three centimeters higher. The impact of The Gospel in Brief upon Wittgenstein’s philosophy (especially the later passages of the Tractatus Logico-Philosophicus), and his general view of ethics. 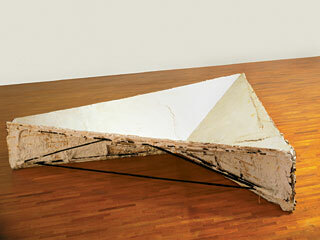 A) Both Bruce Nauman and Jasper Johns were profoundly influenced by Wittgenstein. 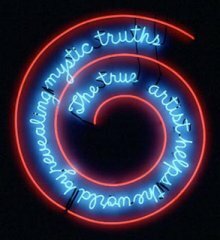 Their works reflect the paradox that the connection between the proposition and reality is not found in the picture itself. B) In a recent biography of Willem de Kooning, the author described de Kooning’s preference of Wittgenstein to Sartre. Bernett Newman read and studied Wittgenstein and probably influenced de Kooning who tended to learn by listening and paying attention to his peers. Wittgenstein along with Marcel Duchamp, and Samuel Beckett provided a more questioning and critical intellectual foundation for artists to pursue visual art as a tool to investigate the nature of reality through language games. (visual art is another kind of language that artists teach one another as well as accommodate new idioms and expressions). 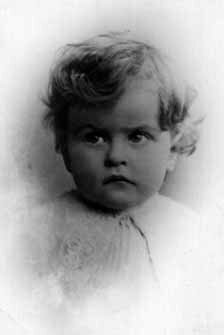 2) Ludwig Wittgenstein was born on April 26, 1889 . Taurus with moon in Pisces. (the same as James Mason and Audrey Hepburn). Moon in Pisces is otherworldy, intuitive, compassionate, private and impressionable. This trait explains why Wittgenstein gave up his family fortune in favor of more humble, austere lifestyle. He acted more like a mystic than a professional philosopher or an engineer. 3) He was Taurus OX- the deliberate Dictator The autocratic and dictatorial side of him showed up when Wittgenstein threatend Karl Popper, the famous poker incident involoving Karl Popper and Wittgenstein. 5) Marjorie Perlof’s Wittgenstein Ladder, an Introduction..
6) One time Salon blogger dogma on Wittgenstein as a mystic. 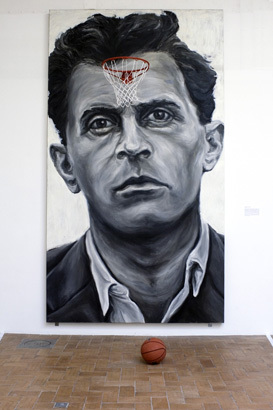 Here is a discussion on Wittgenstein’s influence on art. (Part of two questions posed by a blogger. Must be patient to sort this out. Steve Reich’s Proverb was based on the text of Wittgenstein- “How small a thought it takes to fill a whole life!“. I have loved and listend to his music without knowing about this until now. On Freud, Wittgenstein said, “It seems to me that my dreams are always an expression of my fears, not, as Freud thought, my wishes. I could build up an interpretation of dreams just cogent as Freud’s in terms of repressed fears. “Freud’s work died with him. No one today can do psychoanalysis in the way he did. Now a book that really would interest me would be the one he wrote in collaboration with Breuer”. (Recollection of Wittgenstein, edited by Rhees p154) In footnote, he further stated – I have always believed – without knowing why that the real germ of psychoanalysis came from Breuer, not Freud. Of course Breuer’s seed-grain can only have been quite tiny.” Wittgenstein died of cancer in 1951, the unpopular view expressed by him came from his intuition and acute observation.